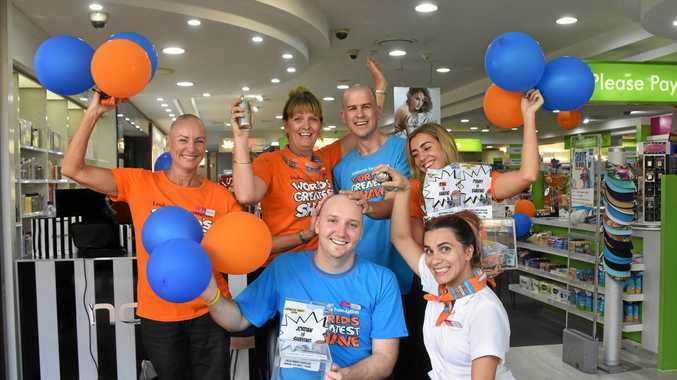 THE TEAM at Noosa Fair's Livelife Pharmacy put their best heads forward last week to raise money for the Leukaemia Foundation in support of one of their own. From shaving for a cure to spray colouring their hair the pharmacy did their part to support a cause close to them. Intern pharmacist Jordan Hart is now five years in remission after suffering from blood cancer. "It is pretty amazing, there is a great group of people here shaving... and everyone else getting involved colouring, it's great to see,” Jordan said. Jordan, as well as fellow colleagues Pamela Simpson and pharmacist Ryan McKinnon, shaved their heads for the fundraiser. Hairdressers Poppy and Jade from Noosa Headz Organic Hair donated their time to help the pharmacy out. 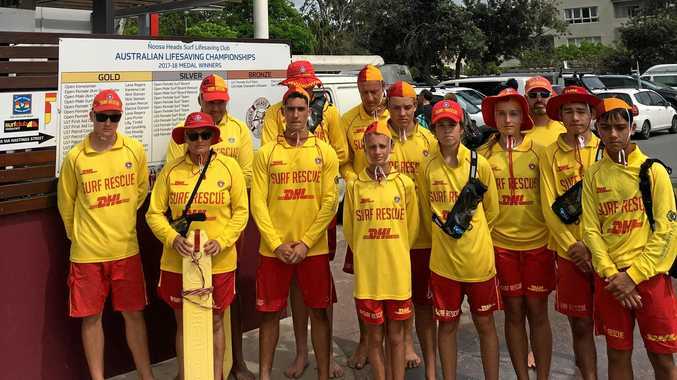 Pharmacist Steph Zipf said prior to the morning they had already raised more than $3500 for the Leukaemia foundation. "This foundation is quite amazing, they give so much as Jordan probably knows,” she said.